Today is Nelson Mandela International Day, the first since the UN unanimously agreed a revised set of Standard Minimum Rules for the Treatment of Prisoners and decided the standards would be known as the ‘Nelson Mandela Rules’ to honour the legacy of the late South African President, a prisoner himself for 27 years and a committed advocate for the rights of prisoners. PRI welcomes the joint statement (also available in Spanish) issued today by four international figures with a mandate to improve the rights of prisoners: the United Nations Special Rapporteur on Torture, Juan Méndez; the Special Rapporteur on Prisons, Conditions of Detention and Policing in Africa, Med Kaggwa; the Rapporteur on the Rights of Persons Deprived of Liberty of the Inter-American Commission on Human Rights, James Cavallaro, and the Council of Europe Commissioner for Human Rights, Nils Muižnieks. Together the four welcomed the Nelson Mandela Rules as a historic step and one of the most significant human rights achievements in recent years. The statement highlights various aspects of the Rules that will improve the protection of the some 10.3 million people held in penal institutions globally. It also notes that the Rules provide useful guidance to help prison staff deliver their important and difficult task. 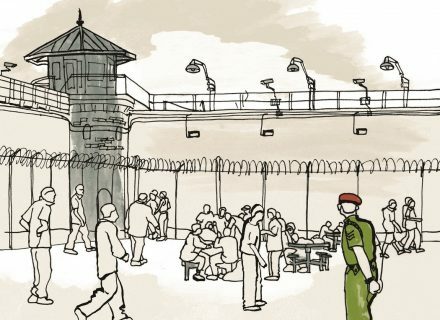 Since the adoption of the revised set of prison standards, PRI has produced a 2-minute animated introduction to the Mandela Rules and a Short Guide.